Paper Monuments Project #017: Freed from slavery for extraordinary service by his French planter “owner,” La Nuit’s was in the vanguard of black entrepreneurial men and women who claimed civic equality in New Orleans. The extraordinary life-history of Saint Louis la Nuit reads like a first draft of early New Orleans history. Born in Africa in 1728, he had a name, a family and an ethnic identity which defined his place in the world. Torn from his identity moorings by the slave trade, he was assigned a new legal identity—“esclave,” and a new name, St. Louis. As he negotiated his way from slavery to freedom through different racial regimes, he helped shape the social architecture and cultural fabric of New Orleans in fundamental ways that are recognizable today. 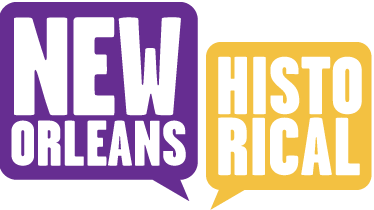 Freed from slavery for extraordinary service by his French planter “owner,” La Nuit’s new identity-making process began with his embrace of Catholicism, the building block of social organization and of the black cultural community in New Orleans. As god-parent for nine free and enslaved male children LaNuit established a spiritual bond between himself, the child and the parents that radiated out into the horizontal planes of the social community embracing both enslaved and free. As a member of the Compagnie des Mulatres et Négres, LaNuit represents the 1770s and 1780s generation of black military leaders who fought under Galvez in the Mississippi River Campaigns of the American Revolution. The right to bear arms in the service of the nation provided an opportunity for men to practice civic behavior, the first step in the long road to citizenship for black Americans. For valor, LaNuit was awarded a silver medal of honor and a pension by the Spanish Crown. 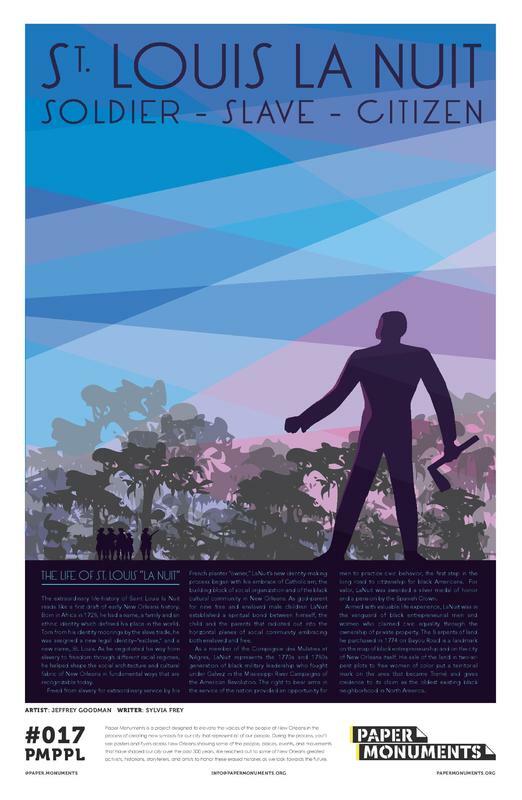 Armed with valuable life experience, LaNuit was in the vanguard of black entrepreneurial men and women who claimed civic equality through the ownership of private property. The 8 arpents of land he purchased in 1774 on Bayou Road is a landmark on the map of black entrepreneurship and on the city of New Orleans itself. His sale of the land in two-arpent plots to free women of color put a territorial mark on the area that became Tremé and gives credence to its claim as the oldest existing black neighborhood in North America. Paper Monuments, Jeffrey Goodman, Artist, and Sylvia Frey, Writer, “St. Louis La Nuit,” New Orleans Historical, accessed April 24, 2019, https://neworleanshistorical.org/items/show/1400.